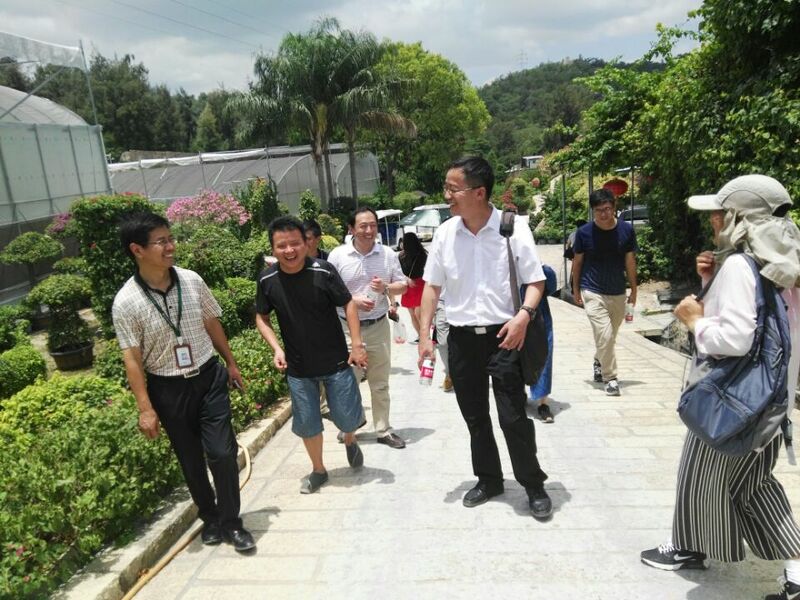 Prof. HU Huabin, Deputy Director of XTBG, Secretary-general of CUBG, together with his party of five visited Xiamen Botanical Garden in the preliminary discussion of the joint exhibition “Entering magical tropical forest for ecologic Xishuangbanna”. 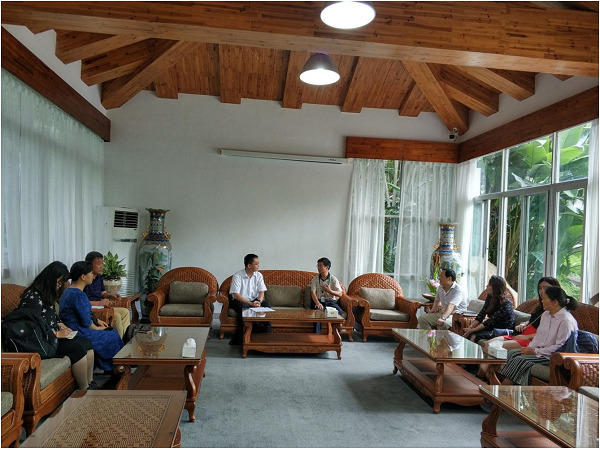 Two sides reached a consensus on location, layout, arrangement, contents and personnel contacts. 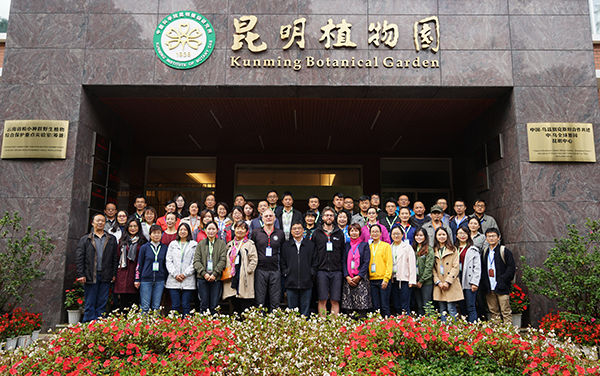 They also communicated the user experiences of CUBG’s Plant Information Management System (PIMS). 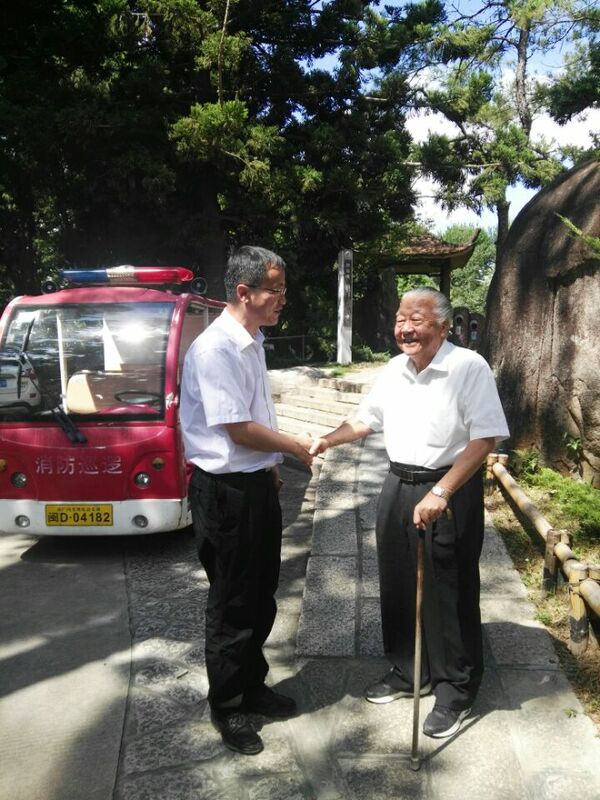 In the accompany of Prof. Zhang Wanqi, director of Xiamen Botanical Garden, Hu and his party also visited its dedicated gardens, like tropical forest world, succulent plant area, bougainvillea speetabilis germplasm nursery and zingiberales garden. They also introduced some species to XTBG.